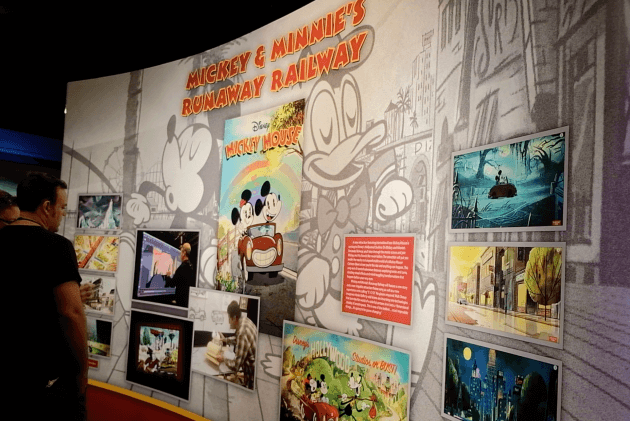 Take a look at this new Mickey and Minnie’s Runaway Railway art, now on display at Walt Disney Presents in Disney’s Hollywood Studios. Besides the announcement of this new attraction at the D23 Expo 2017, not much has been discussed about the ride. Today, art work was put on display that depicts what looks like scenes from the new ride. 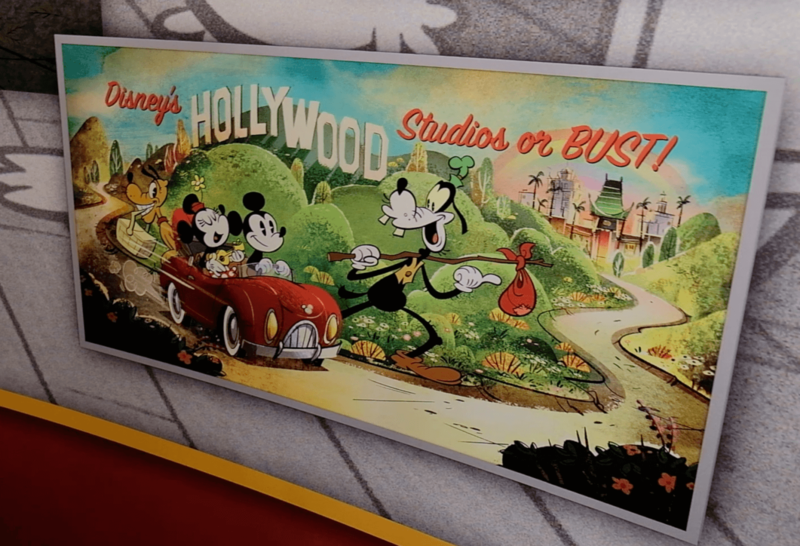 The ride is said to take guests into the movie screen and onto Goofy’s train, inside of a Mickey cartoon short. 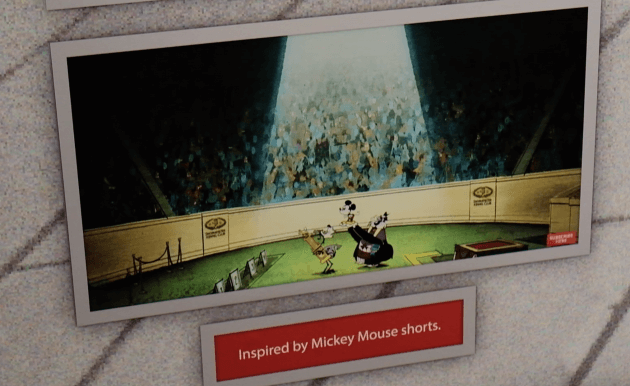 The attraction is the first ever Mickey-themed ride-through attraction and was inspired by the newest style of Mickey shorts. Disney animators were said to have partnered with the parks to create the ride. 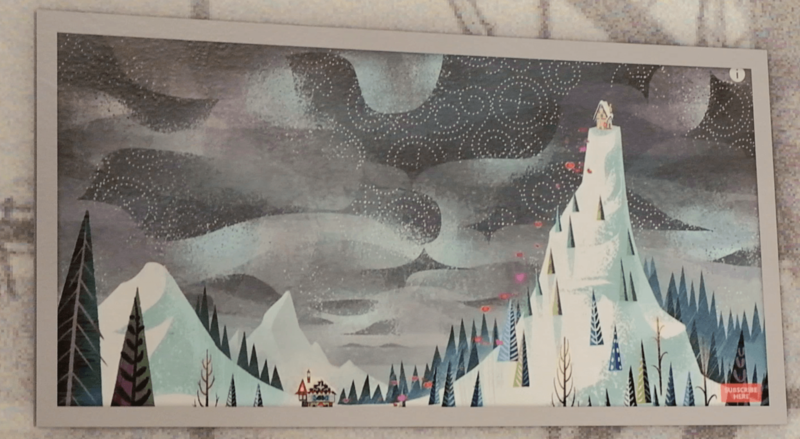 Below you will see some of the art work, which is now on display. Most of the artwork contains a small Mickey Mouse somewhere within the picture. 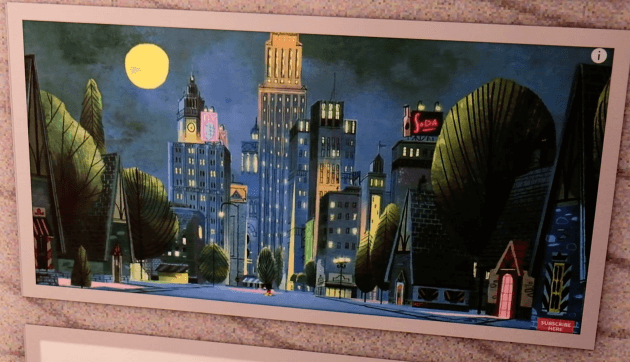 Some of the scenes have a darker tone, which appears to give light to the conflict which might arise during the ride. Below, you see a sad Mickey in a dark forest with four flat tires. 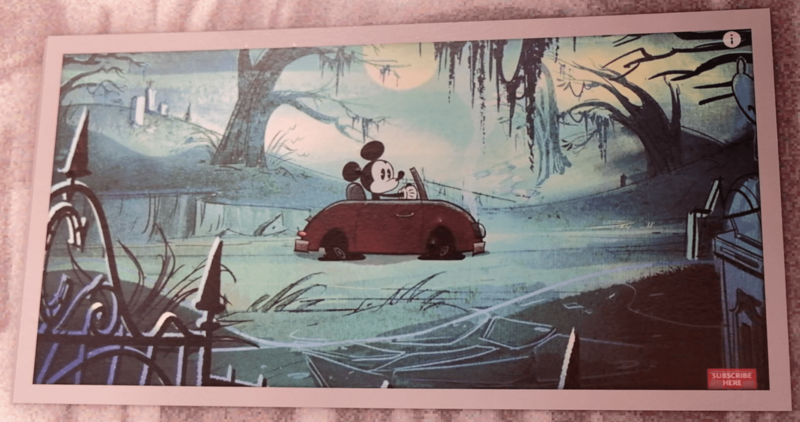 This next scene shows Mickey being held in the air in front of a large crowd, maybe to praise the mouse for a great achievement? 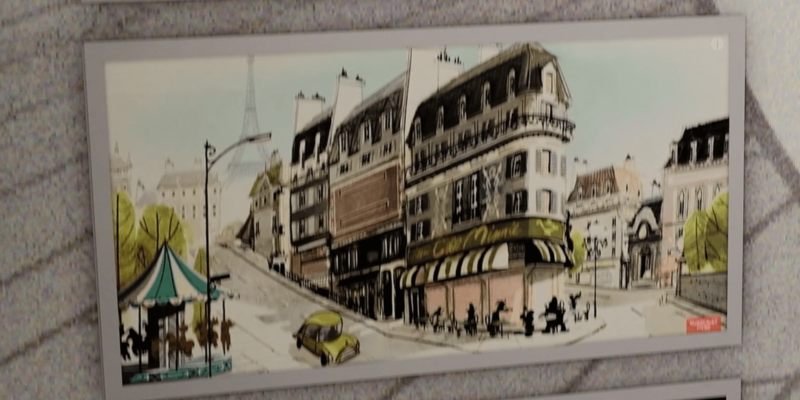 Some of the other artwork put on display includes establishing shots of different locations of which guests can expect to visit during the ride. 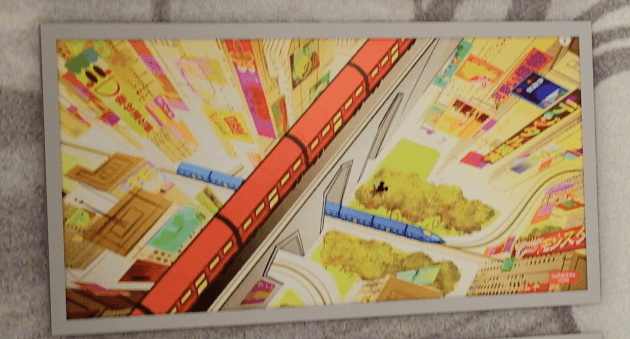 Below you can see some of the different areas. 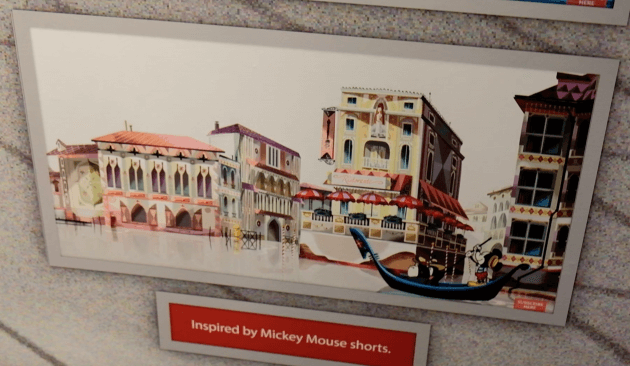 This new attraction will take the place of The Great Movie Ride, which is now closed as it is being converted into Mickey and Minnie’s Runaway Railway. Currently, there is no set date of when Mickey and Minnie’s Runaway Railway will open at Disney’s Hollywood Studios. A pity they couldn’t do a Mickey and Minnie ride with, you know, Mickey and Minnie, instead of their cheap-animation counterparts. They aren’t making a television short here, they are building a ride that will likely run for decades. Spend the money on quality!